Dr. Sheila Page is board certified in neuromusculoskeletal medicine and osteopathic manipulative therapy, and treats a wide spectrum of patients from the newborn to the elderly, including patients with irreversible and terminal illness. Dr. Page has a special interest in children with disabilities, particularly those whose burden of care is difficult and who have been given little hope for a better quality of life. The impact of politics on the medical profession and the physician-patient relationship has been a motivating force for Dr. Page’s efforts. Her interests include policy related to independent physician practices, access to care, charitable care, and sanctity of life issues. She currently serves as president of the Texas chapter of the Association of American Physicians and Surgeons. Dr. Page is an associate scholar with the Charlotte Lozier Institute and serves as secretary on the board of directors of Lutherans for Life and on the advisory council of Grace House Ministries. She has served on multiple committees and is president of District II of the Texas Osteopathic Medical Association. She is a delegate for the American Osteopathic Association HOD and served on the Professional Affairs Reference Committee in 2018. She is the founding chair of the Fort Worth Osteopathic Study Group. Dr. Page received her doctorate of osteopathic medicine from the University of North Texas Health Science Center, College of Osteopathic Medicine, in 1992, during which she completed an additional year of training as an undergraduate teaching fellow, specializing in osteopathic manipulative therapy. Following an internship at Northeast Community Hospital, Dr. Page practiced family medicine for seven years while working on her board certification in Neuromusculoskeletal Medicine. 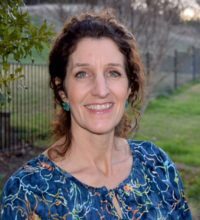 She has been practicing and developing her skills in that specialty for 23 years, and currently has a private solo practice serving the Fort Worth area. Dr. Page works on referrals by word of mouth only and makes house calls for patients with advanced disabilities. She graduated with a B.S. in biochemistry at Texas A&M University in 1986 and then spent a year doing cancer research at MD Anderson Research Center in Smithville, Texas. She continued to do cell biology research while in medical school and has several scientific publications. Her most recent publication is The Neuroanatomy and Physiology of Pain Perception in the Developing Human, Issues in Law and Medicine, Fall, 2016. Sheila has been married for 30 years to Ray Page, D.O., Ph.D., oncologist, and has 5 children, ages 14-27, whom she has primarily home schooled. She lives in Aledo, Texas, and is active in the St. Paul Lutheran Church. She has donated services to Sudanese refugees living in the Dallas-Fort Worth area. She loves gardening in her spare time. On Wednesday, February 15, 2017, the Texas Committee of Health and Human Services held a hearing regarding Texas Senate Bill 415 (SB 415). SB 415 prohibits dismemberment abortions, in which a person, with the purpose of causing the death of an unborn child, dismembers the unborn child and extracts the unborn child one piece at a time from the uterus. Charlotte Lozier Institute Associate Scholar Sheila Page, D.O., submitted the following written testimony in support of SB 415. Sheila Page, D.O., is board certified in Neuromusculoskeletal Medicine and Osteopathic Manipulative Therapy, and treats a wide spectrum of patients from the newborn to the elderly, including patients with irreversible and terminal illness. Dr. Page has a special interest in children with disabilities, particularly those whose burden of care is difficult and who have been given little hope for a better quality of life. In this interview, she discusses palliative care and the science of fetal pain. This Tuesday, the Ohio House Committee on Community and Family Advancement held a hearing on SB 127, the Pain-Capable Unborn Child Protection Act. Charlotte Lozier Institute (CLI) associate scholars Anna Higgins, J.D., an attorney and legal researcher, and Sheila Page, D.O., an osteopathic physician, testified in support of these bills. CLI welcomed both women as recent additions to the associate scholar team in September. On June 17, 2015, the Ohio Senate Health and Human Services Committee held a hearing on S.B. 127, the state’s Pain-Capable Unborn Child Protection Act. Among the experts testifying in support of the bill were Dr. Sheila Page, D.O., an osteopathic physician, board certified in Neuromusculoskeletal Medicine and Angelina Baglini Nguyen, J.D., a legal expert and Associate Scholar of the Charlotte Lozier Institute (CLI). CLI thanks both Dr. Sheila Page and Angelina B. Nguyen for their permission to reprint the full text of their testimonies here. In addition, CLI’s Vice President and Research Director, Dr. David A. Prentice, Ph.D., submitted the testimony below in writing.